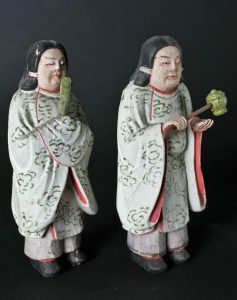 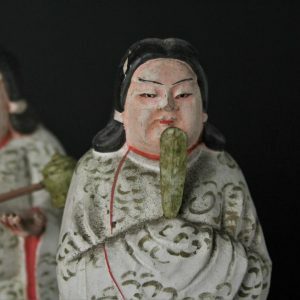 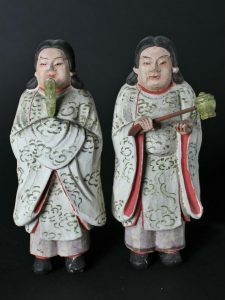 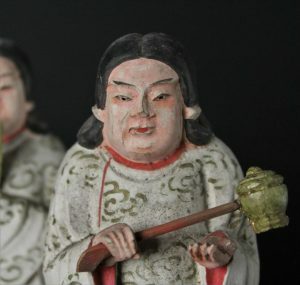 Wooden figuers depicting two Buddhist worshippers. 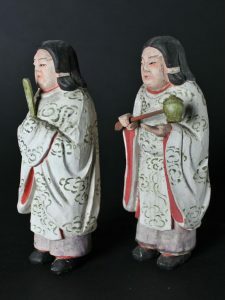 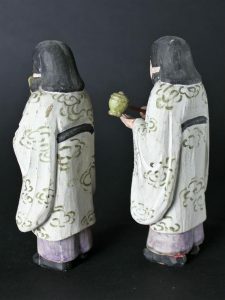 One hold a cepter and the othe holds a watering bowl on a stick They are wearing white decorated kimonos Except from a little dirt in a very good condition. 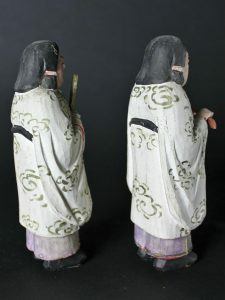 Meiji period.